Leash Manners: 3 Mistakes Dog Owners Make! Your dog’s leash can mean the difference between a safe dog or an at risk dog. Each year, 1.2 million dogs die after running out into the street and getting hit by a car. Don’t use a retractable leash. I understand you think it gives your dog more freedom to roam around and yes, it does often reduce your dog’s pulling. However, there is still an end to the retractable leash and more often than not, a dog just ends up pulling anyway. Your leash is a safety device. 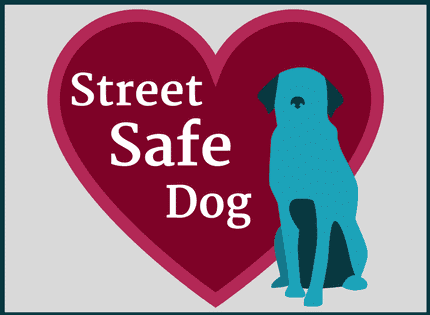 Its’ purpose is to keep your dog away from anything that could be dangerous; a moving car, an aggressive dog, etc. How well would you be able to protect your dog from a moving vehicle if your dog is on a retractable leash 10-feet in front of you? Not well. Plus, a dog that uses a retractable leash will never learn the rules of walking on leash since they can pretty much go wherever they please. Do you and your dog a favor and do not use a retractable leash. It doesn’t have to be exactly six feet. You can use one that is slightly longer or shorter to accommodate you and your pup. I prefer 6-feet because it seems to be the perfect length to give dogs room to roam while still maintaining a satisfactory environment for training. If you need some support with this kind of training, my friend used a certified dog trainer in Colorado and got some fantastic results! You can see my favorite leash and collar (and get 15% off your order) by clicking the link at the top of this article. Otherwise, any fixed length leash will do! Dog owners feel like they only have control of their dog if there is tension on the leash. So, if their dog doesn’t provide the tension, then the owner will happily oblige. Your dog is likely to pull on the leash. However, it is also likely that your dog doesn’t pull on the leash every second. Those few moments that your dog isn’t pulling on the leash should be rewarded. Instead, most owners choke up on the leash when their dog isn’t pulling and ensure that there is still tension. Both the owner and the dog believe that slack in the leash is bad, and tension in the leash is good. 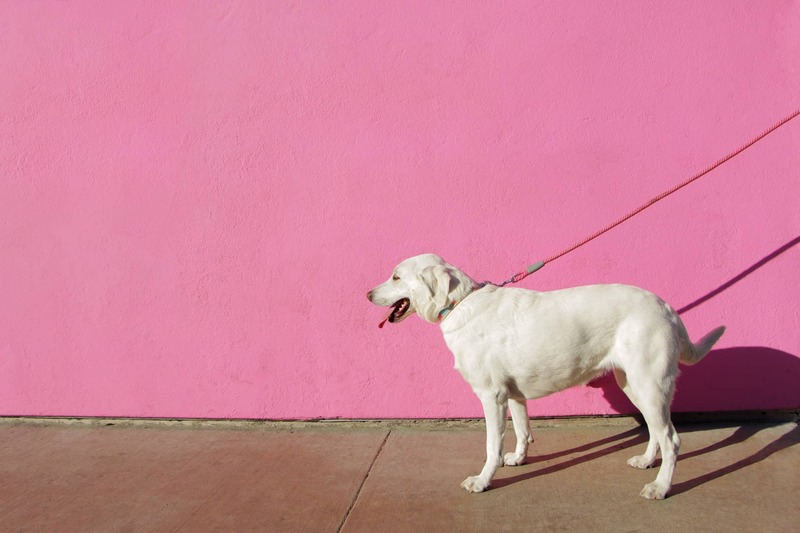 Is your dog pulling on the leash, or, are you? How often do you see an owner walking their dog while using only half the leash and pulling up causing the dog to fight against the pull of the leash? I see it every time I get in my car and drive around town. The mistake is that the owner believes that tension in the leash gives them control. The dog believes that tension in the leash is required for moving forward. Nobody has a good time. 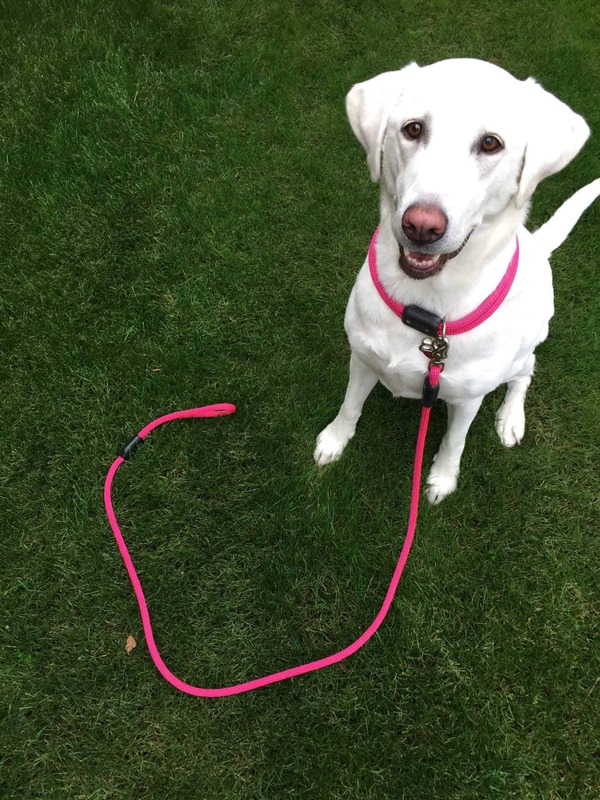 If you were only supposed to use half the length of the leash, then the leash makers would have made it half as long. How do you ensure there is slack in your leash? Reinforce and reward your dog when there is no tension in the leash. Take a high value treat with you on walks and reward your dog when he/she isn’t pulling on your leash. When your dog is pulling on the leash, stop the walk and redirect them back to your side. Once they are walking next to you with a loose leash praise and reward them. Dog Training Tip: It is also possible that your dog is not getting enough exercise. Make sure you are exercising your dog each day. Sometimes it is helpful to exercise your dog before you do a leash session. Since they will be tired, they will be less likely to exert the energy necessary to pull on a leash. This will give you ample opportunities to reward them for not pulling. Ah! This is such a frustrating mistake I see dog owners make. Because their dog pulls on the leash on walks outside, they only work on fixing this behavior…outside. However, the environment outside is often too distracting for dogs (and their owners). If you were preparing to be a firefighter, you don’t start practicing in a burning skyscraper. You first learn in a classroom and then practice under controlled scenarios. If you were training to become a champion weightlifter, you don’t start by lifting 750 lbs, you start with much less. The same applies when training your dog. Don’t start training them in an environment filled with distractions where this is already a history of leash pulling. For most dog owners, practicing in the house will produce the fastest and longest lasting results. 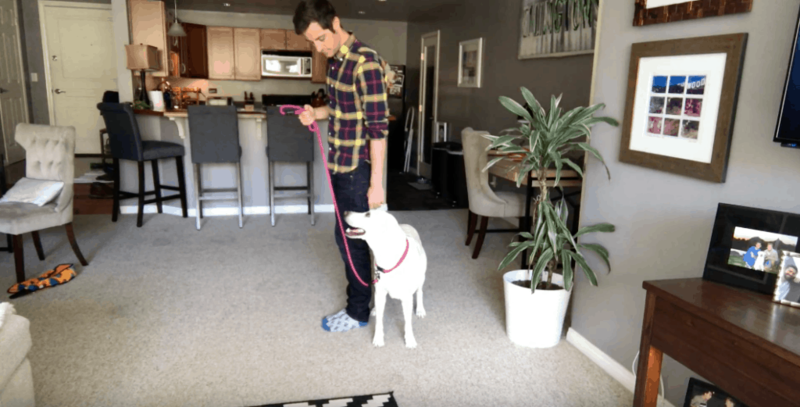 By practicing leash manners in your house, or any environment that is distraction-free, you will be more likely to get success with your dog and build what we call a reinforcement history. Practice your dog’s leash manners inside where there are less distractions. When you feel they have it down, start moving outside and continue to reward desirable behavior. The key will be, what do you do in that moment? Do you ignore your dog for not pulling? Or, do you reward your dog with lots of praise and treats for not pulling? That decision will shape whether or not your dog becomes a puller or a walking champion. This same thought process can be used to get your dog to stop barking. The time it takes for your dog to be trained not pull on the leash will vary. However, for most dog parents, working 5-10 minutes a day for 5-7 days will get them results. Remember, start inside. Once your dog is walking calmly next to you inside, start to take them outside. Keep them engaged and reward eye contact and desirable walking behavior. If you move outside and your dog starts pulling uncontrollably, then you’ve likely moved too fast. Go back inside and keep building that reinforcement history for calm walking. 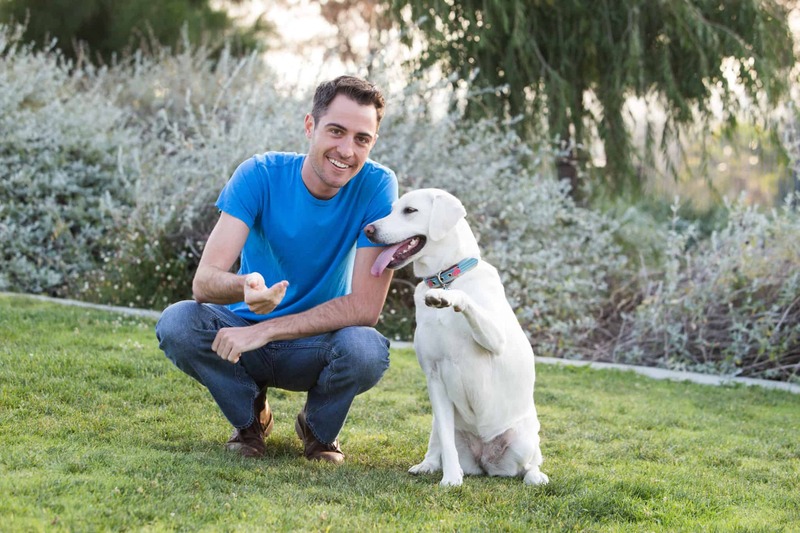 If you have any questions about animal behavior or dog training, please contact me! Hope this helped!